All my recipes from The Mum’s Diet blog are being moved over here as I am closing down that site. Can’t manage two blogs! Here’s one of the faves. I like baking and the family likes eating cakes. That’s handy then. If I can squeeze a few veggies into the cake so much the better, but my range is limited. So many thanks to the exuberant Fast Ed and Eggs Australia who inspired some bloggers to go the egg-stra (sorry!) mile for our families’ health. 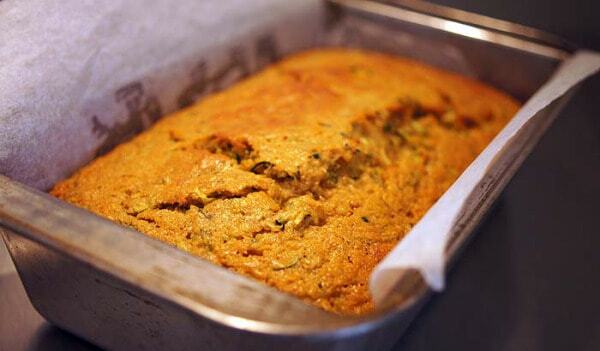 Here’s the first cake off the rank, a healthier version of zucchini bread, using wholemeal flour. I was so overwhelmed when I scoffed some of Fast Ed’s healthy zucchini bread that I whizzed to the shops with the kids after school, then parked them in front of ABCKids and knocked one up. It’s a really simple recipe for a totally scrumptious cake! low-fat ricotta, honey and berries, to serve. 1. Preheat oven to 180C. Coarsely grate the zucchini and squeeze to remove the excess moisture. Transfer to a bowl and mix with the golden syrup, oil and eggs. Beat well. 2. Sift in the flour, baking powder and cinnamon and mix thoroughly until smooth. Set aside to stand for 5 minutes. 3. Spoon the batter into a lined medium loaf pan (1L capacity) and bake for 45 minutes, until a skewer can be inserted and removed cleanly. Cool in the tin, then serve warm with low-fat ricotta, honey and berries. COOK’S NOTE: These take 28 minutes when baked as ½ cup muffins. The kids loved it and ate loads, husband loved it and ate loads. I loved it and ate one slice… slowly… and enjoyed it enormously. Will definitely make it again… in fact, I have some zucchini in the fridge right now…. Many thanks to Porter Novelli who know I need as much help as I can get in the kitchen, and especially to Fast Ed and Eggs Australia for their invitation and expertise. 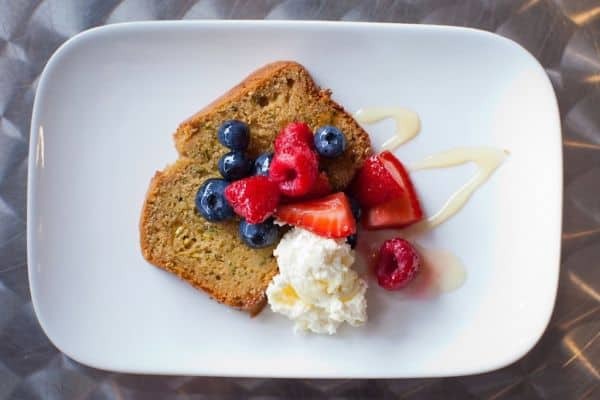 Have you tried my healthy chocolate cake (no sugar and uses coconut flour) or my super healthy banana bread – you must! Have you got your own favourite veggie-filled cake or dessert recipe? Do share, I’m always after more healthy cake recipes… or even half-healthy. Thanks Robyn, yes it is delicious. The photo with berries is the one Fast Ed made, my styling’s not so flash! And a bit less sugar than other recipes which is always good. Wish more recipes used wholemeal flour. Would they work with GF flour ? Sounds very healthy. Oh I don’t know, it’s been ages since I used GF flour. Maybe have to just give it a whirl? I was meaning to make it today myself but the day ran away with me. We are away for the weekend. We could do synchronised baking on Monday!! I am sending this to my friend who runs a farmstay in N.Z. She likes to make yummy cakes for her guests. Let me know if you are ever going to the south island! Love the way you have styled it. Man that looks good. I am looking forward to trying some of your cooking one day. And damn right about 2 blogs……I can barely keep up with one. I can’t wait for my zucchinis to grow so I can make this! Yum! Delicious and easy cake, we like it warm with butter or with cream cheese icing as for carrot cake.